Buying a garage door - A garage door isn’t a every day purchase, so the process might be overwhelming at first. To assist with the ups and downs of this process, we have put together this blog post based on our over 20 year experience in the garage door industry. Hopefully this blog post will be informative to the new garage door buyer. 1. What to expect to pay for the more popular garage door styles? 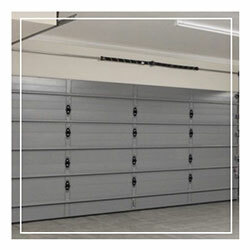 The most common features for the aluminium garage door is that it is Rust-Proof and Lightwieght. You can always try and stand out from the rest by replacing the solid panels with glass. The average cost for a single door: R15,000 and for a double R20,500. Aluzinc garage doors are also Lightweight and Rust-Proof due to the combination of Aluminium and Zinc, they are however cheaper than a fully aluminium garage door. The average cost for a single door: R8000 and for a double R12,000. There simply is no substitute for the warm look of a wooden garage door. It’s typically made from top quality wood and offers some great flexibility for custom carvings and design. Wooden doors will require more maintenance based on climate and exposure. The average cost for a single door: R10,000 and for a double R17,000. 2. Should my garage door be insulated? There are not very many garage doors that are heated, but your garage door will still impacts your houses energy efficiency. The good news is that insulation technologies for garage doors have significantly advanced over the last 5 to 10 years. Today’s doors provide a tight seal against the exterior side of the building to keep out the elements. Should your garage be attached to the house, it will be to your advantage to purchase an insulated door, mainly if there is a room above the garage. The insulation will help reduce both noise and heat/cold. Also, taking the direction your door is facing into consideration, whether it is direct sun all day or getting thrashed by the wind, an insulated door will help improve the temperature inside. Garage door safety is incredibly important due to the door its self being the biggest moving object in your home. The other dangerous component to your garage door will be the spring. The spring is basically the force behind raising the door, which means that it under goes immense tension. When a spring brakes it will be best to call out a professional team to help with your garage door repairs. 4. A few other things to know before buying a garage door? • Can they customise the door size and style for you.